Brad Paisley’s performance of his new single, “River Bank,” was a reminder of why I love watching the ACMs (Academy of Country Music). I don’t usually watch entertainment industry awards shows on TV. I can normally find better things to do than watch a bunch of insanely wealthy people glad handing each other in celebration of their “art” for three plus hours. However, if I come across the CMA (Country Music Association) or ACM shows, don’t bother calling me because I’ll be tuned in for the next three hours. It’s not because I think this particular genre’s artists are more genuine than others – they just pack in a lot more performances and that’s what I want to see. 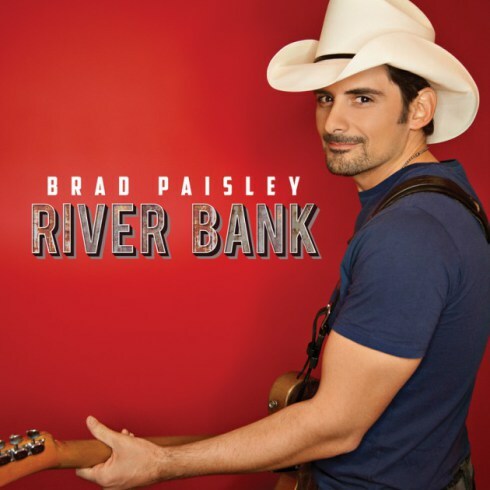 Brad’s performance of “River Bank” was my favorite performance of a new song from the ACM awards that aired this past Sunday night. Besides the obvious benefit of taking place at a pool party, Brad interacted with the crowd, grabbing their cell phones and snapping pictures during his performance. It was a standout part of the show for me and a reminder that while country music can sometimes take itself too seriously (like any other genre), sometimes it’s OK just to let loose and have a good time. The single is brand new so there’s no official video yet. However, the lyric video from Brad’s camp is below and it features scenes from some of his promotional videos for the song. The video of the performance from Sunday night is also included below.